accommodations. If you'd like a room to yourself, there is a single room supplement charge of $695 for the trip (you can select this option on the payment page). March 2: Miami, Florida. Allowing for people to arrive during the day, we will have our first group meeting and trip briefing at dinner. March 3: We will meet this morning after breakfast to continue the workshop orientation and distribute the travel documents. Our scheduled charter flight to Havana departs Miami International Airport at 1pm. We'll arrive in Havana at 2pm and transfer to our hotel. 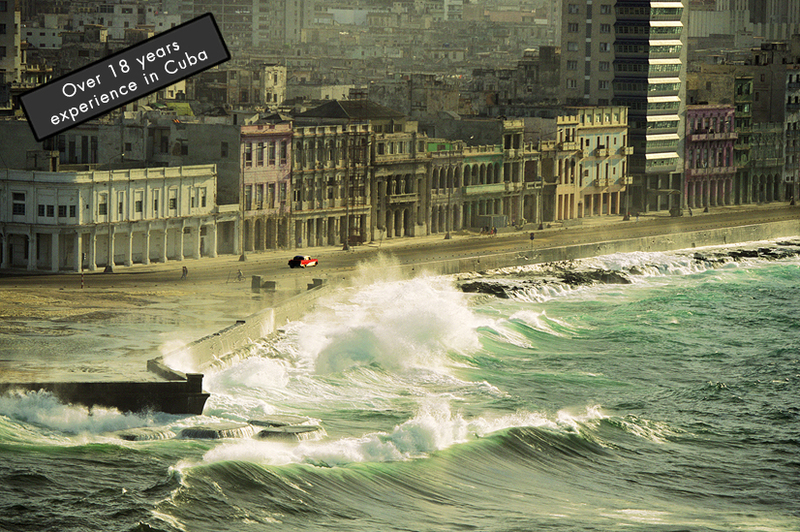 March 3-6: Havana: Each day, we will endeavor to shoot both sunrise and sunset. The middle of the day will be used either for additional shooting (if the sun isn't too harsh and flat) and/or image reviews and discussions about techniques. March 7: Transfer to Trinidad. (approximate 5-6 hour private bus drive). March 10: Transfer back to Havana. March 13: Our final day in Cuba begins with another sunrise shoot, followed by more image reviews and/or more photography in and around Havana. After breakfast we will transfer to the airport for our scheduled 3pm departure back to Miami. • To get the most from the workshop, you'll need an interchangeable lens camera that has more control over exposure, and need to be familiar with its basic controls and settings. See Cuba workshop preparation for details on equipment suggestions. Lorne can give a complimentary personal consultation on what equipment to bring, rent, or buy before the workshop. • For more information, see the about the workshop, Cuba workshop faqs and terms and conditions.